To use whole canned anchovies, rinse gently in cold water. Peel off the fillet from one side and then remove the backbone and tail from the other fillet. Rinse again. The skin is edible and rarely worth the trouble to remove. Unopened canned anchovies are fine on the shelf up to 1 year. Once opened, be sure they are covered in oil in a sealed container and refrigerate. Use within two months. Treat fresh anchovies as you would sardines or herring for cooking purposes. Fresh and canned or salted anchovies are not interchangeable in recipes, so be sure you have the right ingredient before beginning. On average, there are 10 fresh anchovies to the pound. Small sardines can usually be substituted for anchovies in many recipes, but be sure they are the same form (ie., canned for canned or fresh for fresh) and size. To perk up a sauce, use about 1/8 of an anchovy (which should dissolve in the sauce) or 1/8 teaspoon of anchovy paste. It will give a piquant boost with no trace of the source. To remove some of the salt from anchovies, soak in cold water or milk for 1/2 to 1 hour. Drain and pat dry before using. Anchovy paste is not as strong in flavor as salted or canned anchovies, but it is saltier, so keep that in mind. Anchovy oil can be used in salad dressings or sauces in lieu of whole anchovies. It will have a stronger flavor than if the anchovies were used and also be saltier. 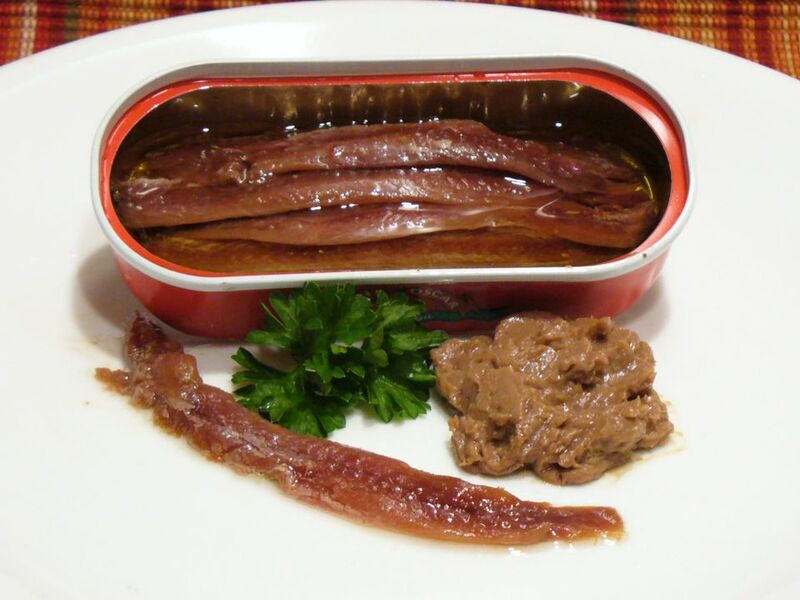 Leftover rinsed anchovies may be refrigerated in a sealed container covered with olive oil. Anchovies work well to flavor tomato sauces, fish sauces, salad dressings, vegetables, chicken, and lamb. A little goes a long way. Capers and olives are particularly good partners with anchovies.